OPEN HOUSE SAT/SUN 12-2PM. 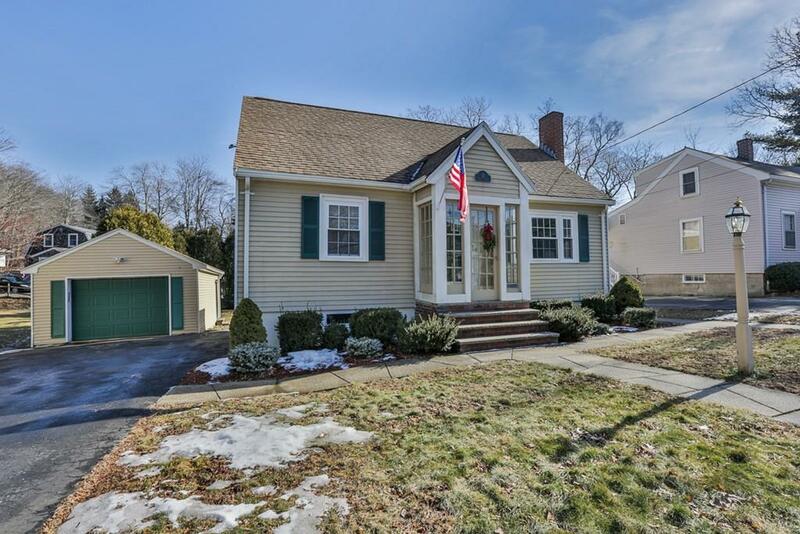 This charming cape on a dead end street in Melrose has a lot to offer! You will be surprised by all the natural sunlight in the bonus family room off the kitchen. Including two skylights and an impressive view of your large, secluded backyard, itâs the perfect retreat after a days work. The kitchen has ample cabinet and counter space for all your cooking needs. Youâll have plenty of space to host gatherings in your large living room with a fireplace. The two bedrooms downstairs are generous in size and offer deep closets. Additionally , the living room and bedrooms offer beautiful hardwood floors. Upstairs are two large bedrooms with built-in shelves and drawers on both sides of the room. Notable updates and features: New hi-efficiency gas heat (2019), central air, updated bathroom and an oversize garage with overhead storage. Easy access to Rt 1 and the T make this a dream for commuters.